Siemens has received an order for the key components of the Azura-Edo IPP power plant in the south of Nigeria. The turnkey plant with a total installed electrical generating capacity of 459 megawatts (MW) will be erected in collaboration with the local Julius Berger Nigeria PLC construction company. Customer is the independent power provider Azura Power West Africa. Siemens has also been awarded a long-term service contract for maintenance and service of the plant for a period of twelve years. Siemens Financial Services (SFS) has been involved in the structuring of the financing since 2012 and is contributing USD 50 million to partially fund the development, construction and operation of the project's first phase. The commissioning is scheduled for July 2018. Siemens will supply three SGT5-2000E gas turbines, three SGen-100A generators as well as the SPPA-T3000 control system for the turbines. The Azura-Edo IPP power plant will be constructed near the town of Benin City, directly neighboring the main gas pipelines in Nigeria. Azura-Edo IPP is part of a planned power plant project by Azura Power West Africa, in which a total capacity of 1.5 gigawatts (GW) is to be installed in several phases. "This power plant project by Azura Power will strengthen the collaboration between Siemens and Nigeria. We are pleased that our customer is placing its trust in our proven SGT5-2000E gas turbine," stated Andreas Pistauer, sales head of the region Southern, Western & Central Africa within Siemens Power and Gas. "With the supply of Siemens power plant technology, the long-term service contract and our involvement in the financing of the plant we are supporting our customer Azura Power in its ambitious efforts to expand the power generating capacity of the country". "The appointment of Siemens and Julius Berger as the EPC Contractor for the Azura Project came after a gruelling competitive tender that lasted for more than a year. Julius Berger was contracted to execute the project's civil works while Siemens was chosen to supply the turbines for the project and to repair and refurbish them under a long term service agreement," said David Ladipo, Amaya Capital Partner and Managing Director of Azura Power. "Both parties have a well-deserved reputation for efficiency, precision and end-to-end control of the logistical challenges attendant upon the execution of any large scale power plant. However, what has impressed us the most about both firms is their long term vision and their willingness to work with Azura in a spirit of genuine partnership and collaboration. We congratulate them and look forward to an early commissioning." 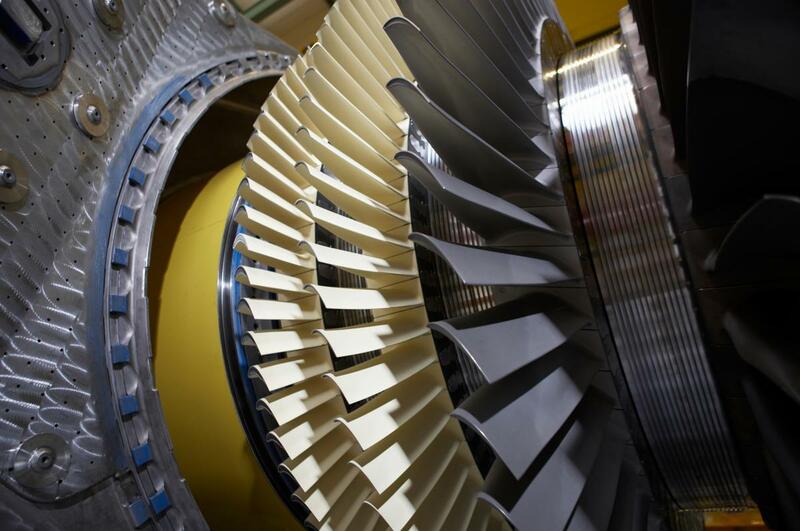 Siemens has received four orders from Nigeria for power plant technology. Three SGT5-2000E gas turbines each were installed in the Geregu I (414 MW) and Geregu II (434 MW) power plants. Two gas turbines of the same model are installed in the power block Afam V (276 MW). Counting this current order for the first phase of the Azura-Edo plant, Siemens supplies eleven SGT5-2000E gas turbines with an overall capacity of 1,583 MW to Nigeria.